Tensions in Hawaii are at an all time high and nuclear launch is imminent. People desperately want to escape the island, but there is a short supply of tickets to leave the island. The Scaventour Society has some tickets to leave the island tonight, but they are only giving them to people who can complete this course in under 60 minutes. Want to leave this Tourist Trap? Work with your friends and family to solve the puzzles and escape the Island. 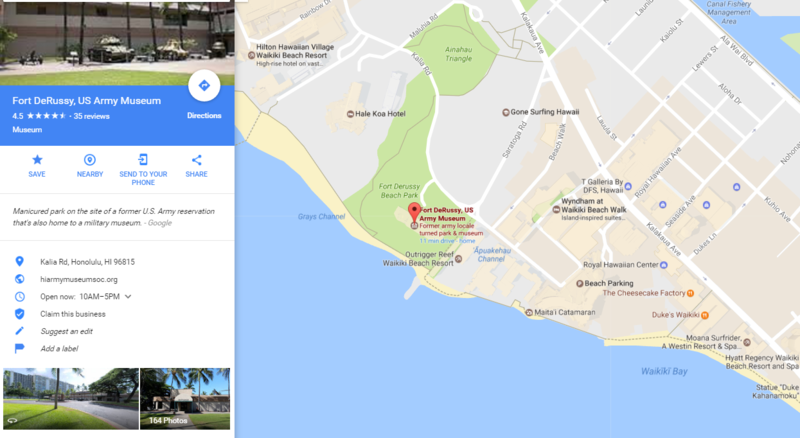 Want to play an Escape Game in Honolulu? Why not try the Outdoor Escape Game? 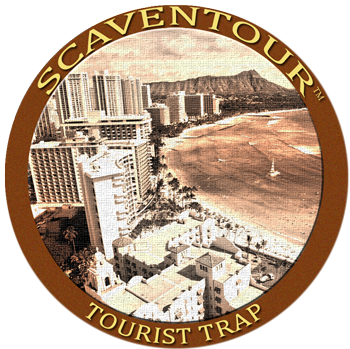 The Tourist Trap game is the longest Scaventour game and spotlights military history and nature. 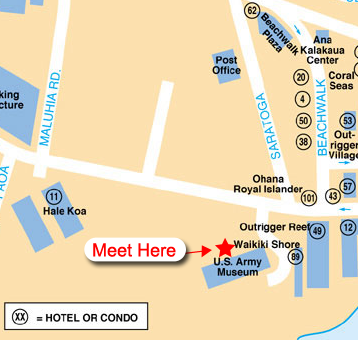 It begins at the Army Museum on the Hale Koa property on Kalia Street in Waikiki..